Pupils at Poplar Farm Primary School in Grantham have enjoyed the first term after Christmas, taking part in a variety of activities including the RSPB Big Bird Watch and tennis lessons with Grantham Tennis Club. 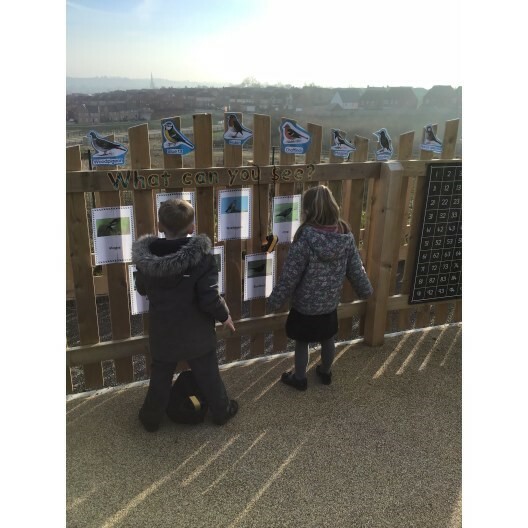 The children loved taking part in the Big Bird Watch for three days. They went on wildlife walks and spotted different birds using their bird identifier sheets and they learnt about different birds in assembly. They created bird feeders to attract the different birds to their outside area and on their wildlife walks counted how many different birds they could see so their data could be entered on the RSPB website. The pupils were also given their first opportunity to experience specialist sports coaching with tennis lessons from Grantham Tennis Club. They were introduced to various skills and even had a go at playing some rallies together. Take a look at the video of them in action right here. Previous: Previous post: Swimarathon Success!